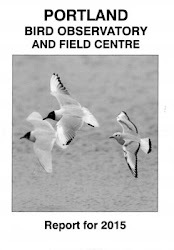 A reminder that there's an In Focus field event at the Obs between 10am and 4pm this Saturday, 26th May. New legislation known as GDPR (General Data Protection Regulations) comes into force on 25 May 2018; click here to view our Privacy & Data Protection Policy. As late May birding at Portland goes today represented just about as good as it gets without there being a rarity on offer. With heavy cloud cover for the duration and, at least for the morning, a brisk northeasterly breeze conditions were certainly favourable and migrants dropped in or passed through all day. 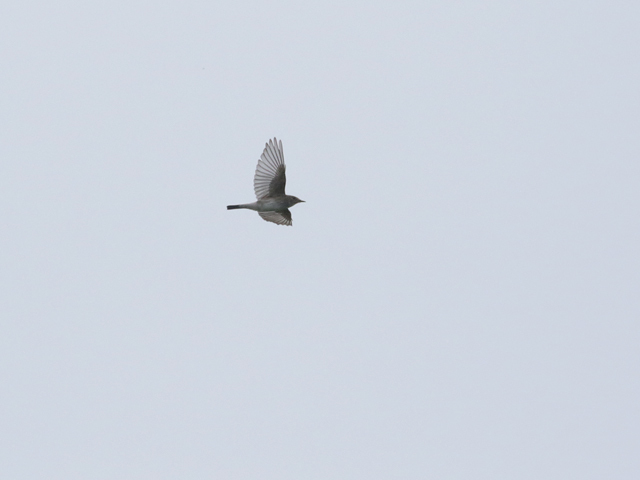 Spotted Flycatchers were very conspicuous and included several waves of active migrants that passed straight through: 60 were logged at the Bill with limited coverage elsewhere suggesting that the all-island total was likely to have been up around the 150 mark. Hirundines and Swifts were also moving in strength, with a sample 2 hour count on West Cliffs returning totals of 174 Swallows, 65 Swifts and 59 House Martins; other totals at the Bill included 25 Willow Warblers, 10 each of Turnstone and Chiffchaff, 9 each of Whimbrel and Wheatear, 5 Whinchats, 4 each of Hobby and Chaffinch, 3 each of Redstart, Sedge Warbler and Blackcap, 2 each of Reed Warbler and Garden Warbler, and singles of Redshank, Short-eared Owl, Yellow Wagtail and Tree Pipit. Waders at Ferrybridge included 48 Dunlin, 28 Ringed Plovers, 20 Sanderling, 5 Turnstones, 2 Bar-tailed Godwits and a Whimbrel. Milky visibility impacted on seawatching attempts that came up with 85 commic terns, 17 Common Scoter, 2 Mediterranean Gulls, a Bar-tailed Godwit and a Great Skua off the Bill and 2 Arctic Skuas off Chesil. Eleven Diamond-back Moths, 4 Silver Y and a Rusty-dot Pearl made up the overnight immigrant moth tally at the Obs.